These stones are sized to be conveniently carried at all times in your pocket or purse. You can even keep them on your desk at work or night stand at home. During times of stress, worry or prayer, hold the stone in the palm of your hand to help you focus on Jesus. 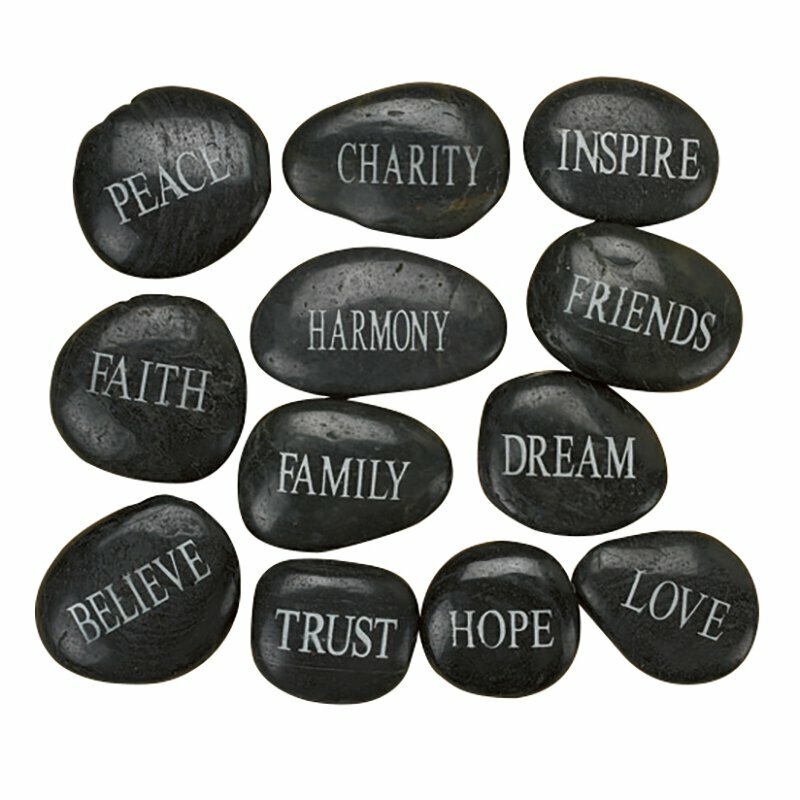 Each stone comes etched with an inspirational word. Size: 2 1/2 - 2 3⁄4"